Explore the latest features, updates, and more—it’s all right here. 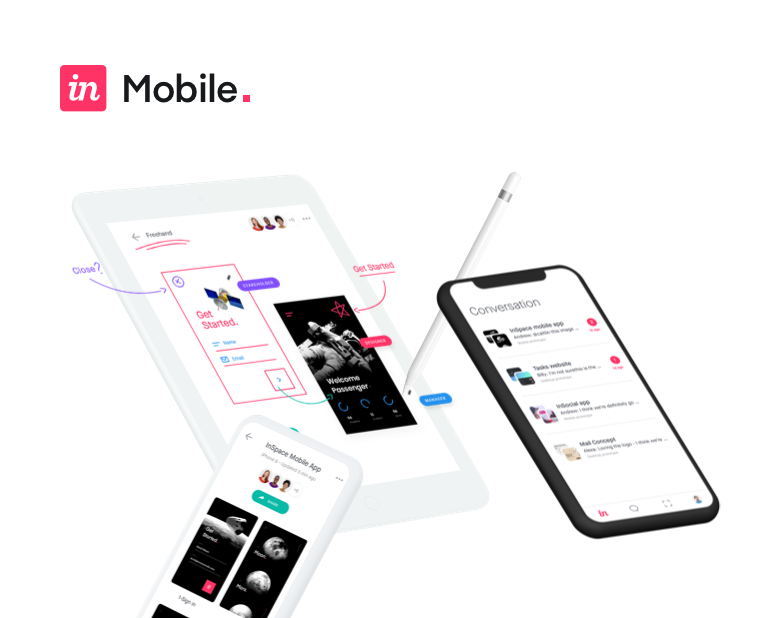 Make your screen design experience even more powerful with the latest InVision Studio features. Studio for Windows is here! 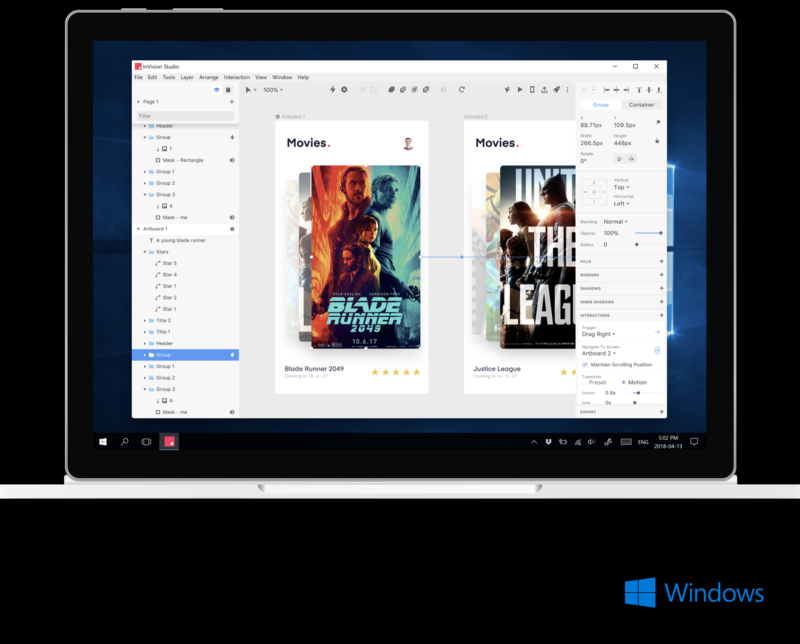 The new Windows app gives you the power to design, prototype, and animate all in one place, making it easier than ever to turn your ideas into digital products your customers will love. 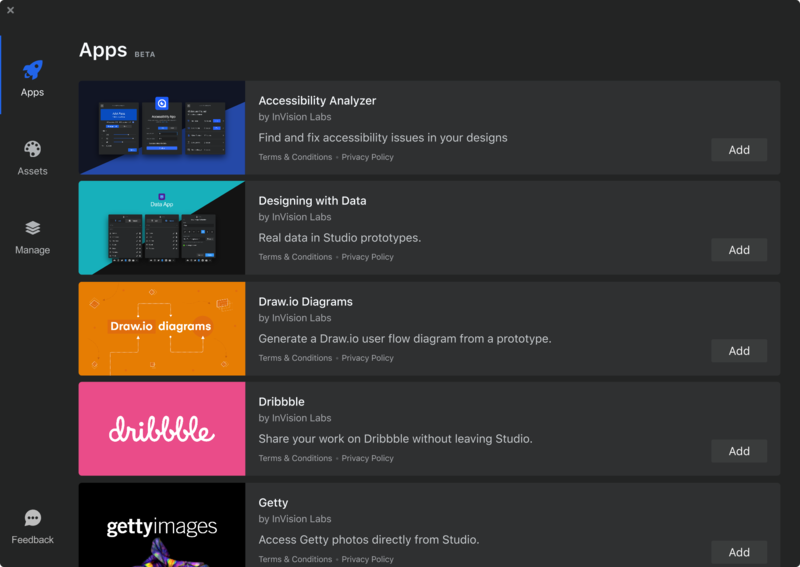 Apps and Assets enrich your workflow by supercharging your design experience, adding depth to your screen designs, and connecting Studio to the workflow tools you use every day. Our first batch of apps are now available in Studio! 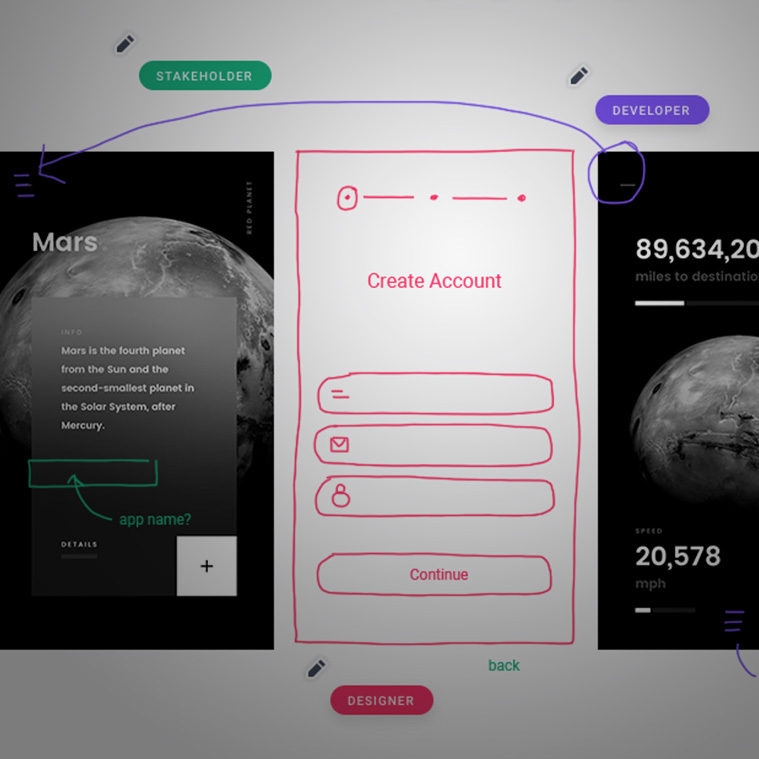 Kickstarting your next Studio prototype is a breeze with Material Design and iOS UI kits that include resizing constraints and nested components. Learn all about the latest bug fixes and feature updates.